The ski resort Les Arcs/Peisey-Vallandry (Paradiski) is located in the Tarentaise (France, Auvergne-Rhône-Alpes, Savoie Mont Blanc, Savoie, Albertville). 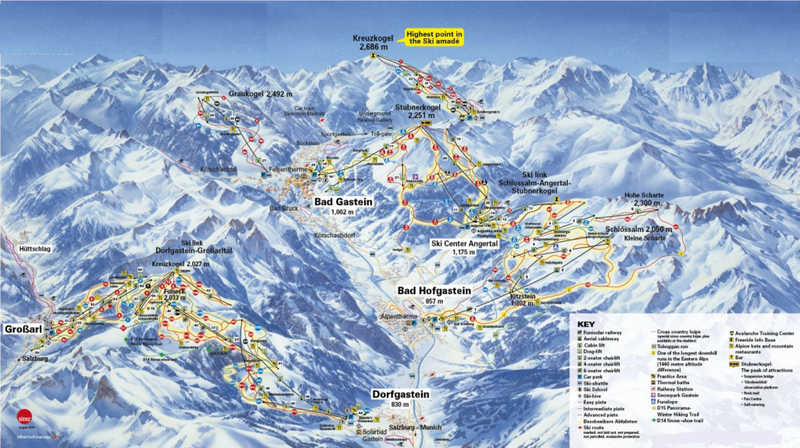 For skiing and snowboarding, there are 200 km of slopes available. 47 lifts transport the guests. The winter sports area is situated between the elevations of 1,200 and 3,226 m.
Welcome to one of the most beautiful natural terraces in Europe! In summer as well as in winter, the villages of Bourg-Saint-Maurice, Arc 1600, Arc 1800, Arc 1950 and Arc 2000 with altitudes between 810 m and 3226 m are waiting for you. Here you will find clean air, lots of space, a happy, easy way of life and a new-found freedom! 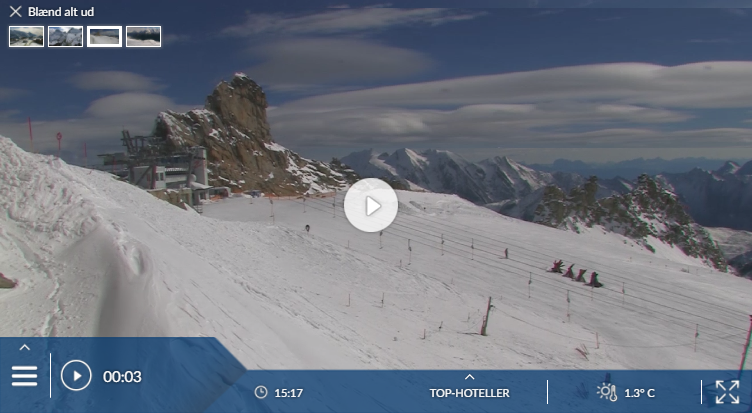 Has the climate crisis and the higher temperatures affected snow conditions in Les Arcs / Peisey-Vallandry (Paradiski)? For the last 5 years, week 9 has been the most insecure with 170 cm snow depth on average in Les Arcs / Peisey-Vallandry (Paradiski). We’ve always liked Les Arcs’ slopes: they offer long descents, plenty of steep stuff, plenty to keep intermediates happy, plus woods to head to in a storm. 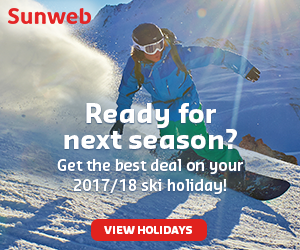 And for those who really like to travel on skis, the link to La Plagne takes the amount of skiing into the Three Valleys league. We’ve never been keen on the functional main villages. We’re aware that their various architectural styles are highly regarded by some; we’re not among them, but our real objection is to their dreary mall-style shopping centres. Newer Arc 1950 is something else: a resort that’s not only more pleasant to inhabit than the others, but also very conveniently arranged. There are attractive developments on the slopes above Arc 1800. And Peisey-Vallandry is a quiet, attractive and convenient base for exploring the La Plagne ski area as well as this one – right next to the linking cable car. Les Arcs is made up of four modern resort units, all purpose-built, traffic-free and apartment-dominated. Arcs 1600 and 1800 stand a couple of km apart, roughly at the treeline on a broad, steepish mountainside overlooking the town of Bourg-St-Maurice (covered at the end of this chapter). 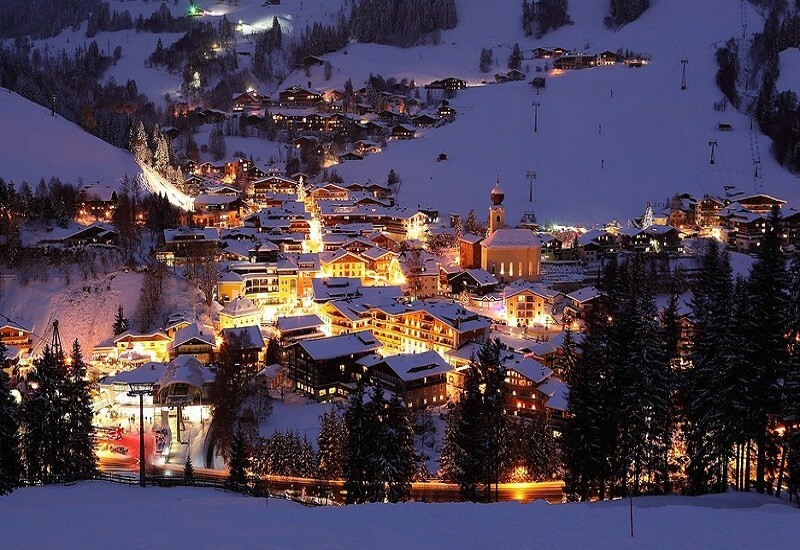 Both consist mainly of large apartment blocks sitting below their slopes, with some development beside the slopes. 1600 was the first Arc, built at the top of a funicular up from Bourg. 1800 is much the largest Arc, and recently has been expanding up the hillside. Quite separate from those two, Arcs 2000 and 1950 are close neighbours on the far side of the mountain ridge, at the bottom of a high, treeless bowl. Arc 2000 consists of half a dozen huge, linked apartment blocks, plus more recently built chalet-style blocks. 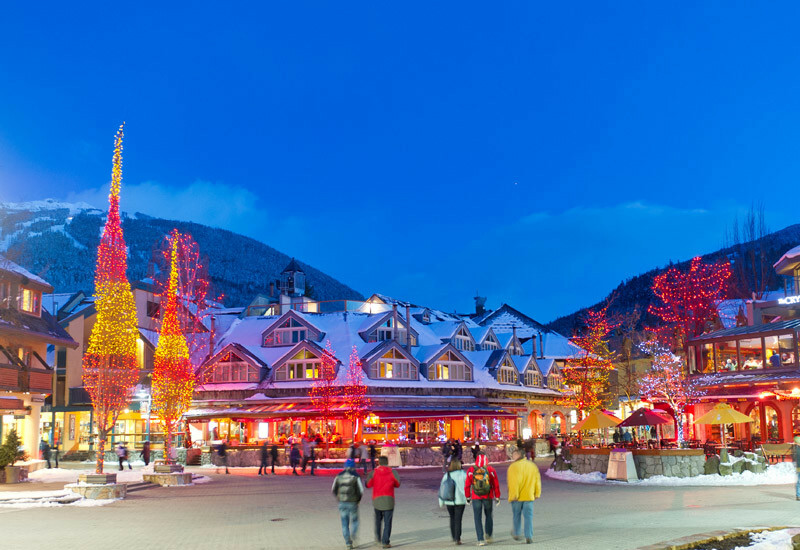 Just below it and linked by a short gondola, the mini-village of Arc 1950 was built from scratch by IntraWest (of Whistler fame) in traditional style, opening its doors in 2003. The numbers in the village names relate only loosely to their altitudes. The name ‘Arc 2000’ was dreamed up in the 60s to evoke the future – the distant millennium; the altitude of the village is actually over 2100m. At the southern end of the area is Peisey-Vallandry, from where a cable car links with La Plagne, covered by the Paradiski passes. Even from Arc 1950 you can reach this cable car in 20 minutes. Peisey-Vallandry is described at the end of the chapter. At the northern end of the ski area, at much lower altitude, is the rustic hamlet of Villaroger. 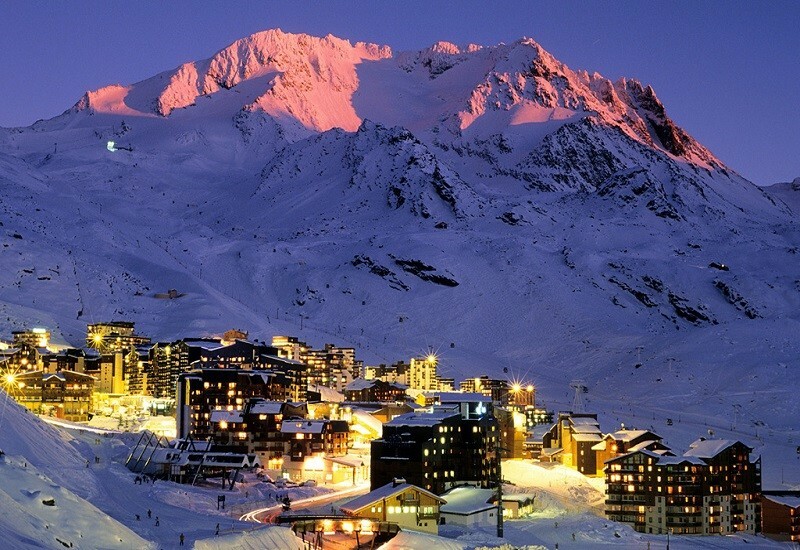 Day trips by car to Val d’IsÃ¨re-Tignes are possible. La RosiÃ¨re and Ste-Foy-Tarentaise are closer. If taking a car, be warned: you have to pay for parking at Arcs 1950 and 2000 – the only free parking is throughout 1600 and before the entrance to 1800. And we hear there is no longer free parking at the valley station of the funicular.